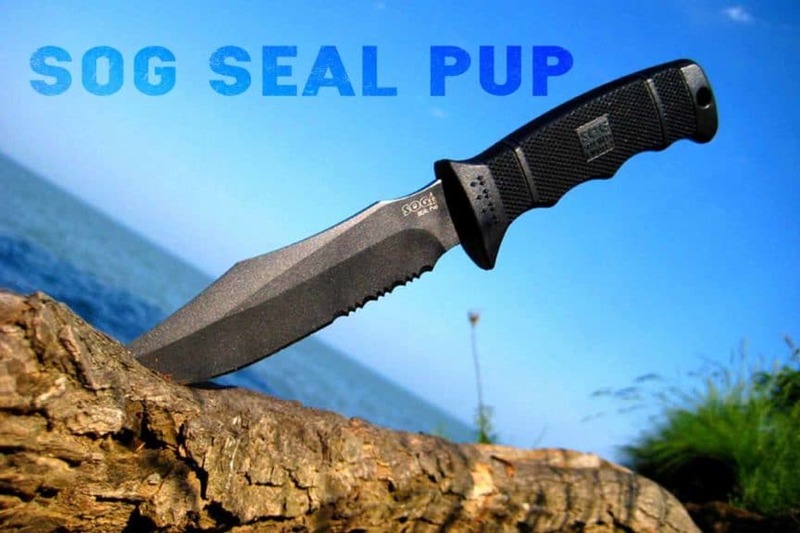 The internet is currently filled with SOG Seal Pup Elite review articles detailing this product by the company. The Seal Pup Elite is an improvement over previous models and is specifically designed for heavy use. Word is that the item follows the same design used by the US Navy SEALs which makes it top of the class. Aside from being incredibly sharp, the SOG Seal Pup Elite comes with a wide array of features. SOG is a leading manufacturer of high-quality survival knives and was started around 1986. The original developer based the knife’s design from the knives used by a special operations unit of the US military, MACV-SOG. The unit’s name has been adapted to what is known today as one of the top manufacturers of survival knives. Incredibly sharp – the blade is very sharp, far sharper than the usual. This can be a good thing or a bad thing, depending on how you use the item. Since it’s very sharp, you only need to use light pressure in order to get the job done. If you only need to make a small nick, it’s crucial to handle this knife properly to get the result you want. However, for outdoor use like cutting rope, wood, or meat, this knife manages to perform perfectly. Long lasting blade – the blade isn’t just sharp; it also manages to stay that way for a long time which is definitely a plus. It manages to stay this way even after being used on several materials like wood, rubber, rope, and more. Rust-resistant – the blade can be dipped in salt water for hours and it still wouldn’t suffer from rust. This is definitely an important aspect for a survival knife, considering how often it would be exposed to the elements. The sharpness of the blade remains intact even after exposure. Durable Tip – the tip of the blade is usually the most vulnerable and breaks off easily. This isn’t the case for the SOG Seal Pup Elite, however. The tip can be used for various needs such as opening cans without fear of breaking it off. Good handle – the SOG Seal Pup Elite handle is a bit longer than that of the usual survival knife. It offers a very firm grip, allowing a large part of the hand to cover the length of the handle. It also has deeper grooves for the fingers which allow for a firmer grip. Lightweight – this can be a good thing or a bad thing, depending on how you like your knives. The SOG Seal Pup Elite is definitely lighter than most although it is well-balanced. Users who want a lighter pack for camping will find this an excellent choice. Those who prefer something with extra power, however, may look for a heavier knife from SOG. Nylon sheath – reviews regarding the nylon sheath have been mixed. Basically, nylon offers excellent protection for the blade, keeping it safe and intact when not in use. The nylon sheath also has extra room for other small materials like a lighter or a butterfly knife. Reviews for this product from other sources have also been generally positive with many noting the distinctive improvement over the regular Seal Pup. Survival knife forums have noted the longer spine rasp which can be used for can opening or to rest your thumb in. The new shape of the blade also makes it distinctive without lessening the usefulness of the product. 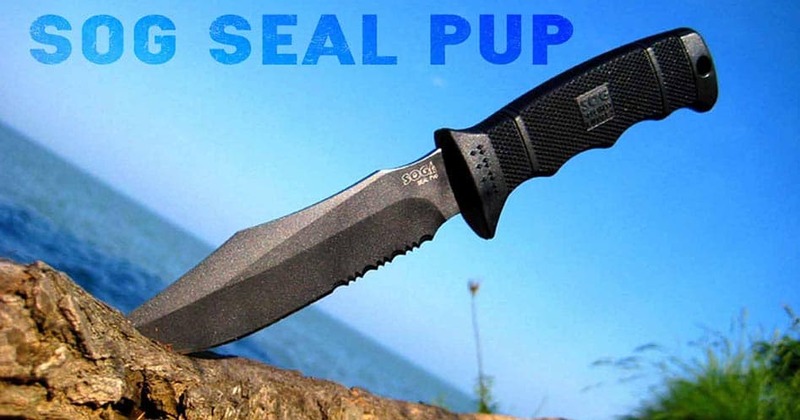 All in all, the SOG Seal Pup Elite ranks at a very high 4.5 stars out of 5. The only thing negative about this product is the nylon sheath which some users didn’t like and exchanged for something else. Fortunately, it’s easy to find knife sheaths online that would fit this blade so there’s really no problem.